CREST Olympiads is an online Olympiad Exam and aims to test conceptual understanding of students. It conducts Olympiad exams in Mathematics, Science, English, Computer, Reasoning and French. Rather than evaluating a student based on rote-learning, these Olympiad Exams focuses on the practical applications of theoretical concepts of students across the Globe. CREST Olympiads is the leading organisation for conducting Online Olympiads. Recently, most of the major competitive exams like JEE Mains, BITSAT, NEET, etc. have started conducting exams online. Hence, these exams help students to get comfortable with online mode of giving tests. More importantly, these exams evaluate students not just within the school but with peers across the Globe. 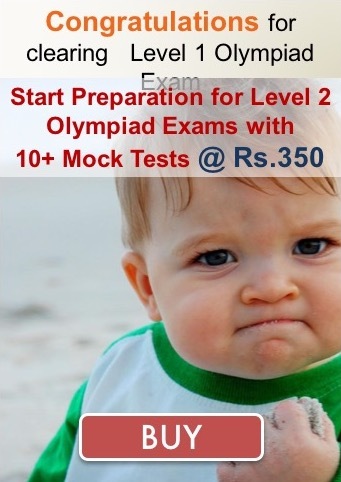 Olympiad Success provides online platform to prepare for following Olympiads organized by CREST Olympiads. The platform consists of chapter-wise sample papers, mock tests and a robust monitoring system. Please visit the links above to get more details and practice papers for CREST Olympiads.